As someone who has stayed in lots of different hostels in lots of different countries, I can honestly say that I would be lost without them. They are more than just an alternative to hotels, they are quite honestly an asset to people like myself who love to travel but are restricted when it comes to money. 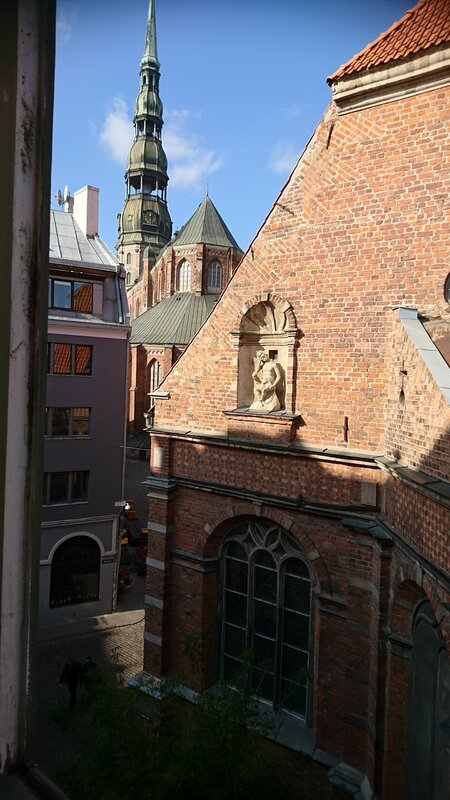 I write this today whilst sitting in my room in the red nose hostel, in old town Riga. In a single room which has cost me £55 for 3 nights. I decided to opt for a single room instead of sharing which would have saved me £35 because it was a deal I couldn’t refuse. A room to myself with a shared bathroom, something I can live with. A bargain. A night in a hotel for the same amount of time would have cost me well over £100, and the only difference being is that I would have a bathroom to myself. Again, that’s something I don’t mind doing without. 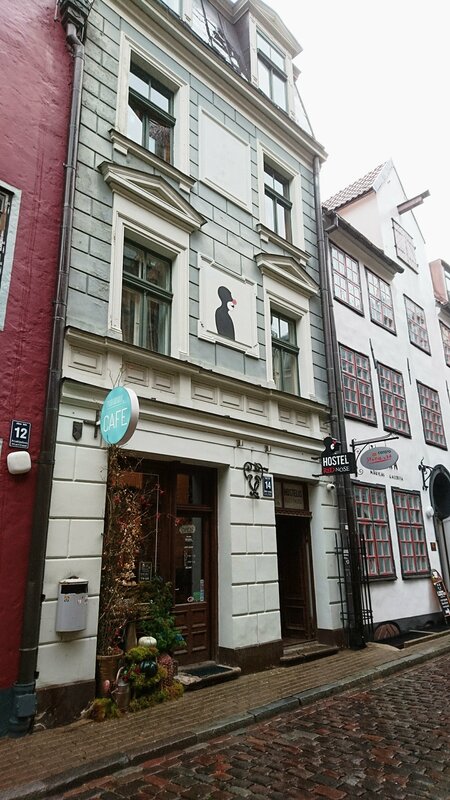 The hostel itself is a money saving gem that makes life so much easier if you’re like me and travelling on a budget. An excellent location, within 5 minutes walk from the main sites, shopping centre, and with pubs, bars and restaurants all around it it saves the need to spend lots of money on transport. 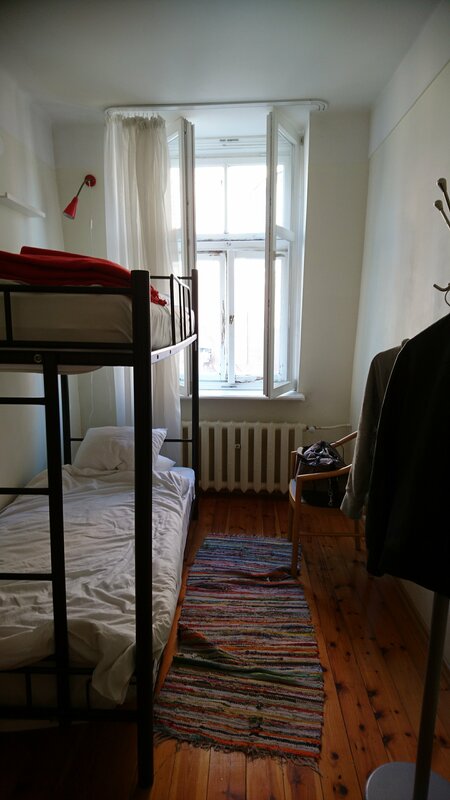 The room may be fairly basic but the hostel in general has everything you really need concerning your basic needs including a kitchen and washing machines. Which again is perfect if you’re on a budget. Most people tend to have preconceived ideas when it comes to hostels, the hostel films probably not helping those preconceived thoughts much either. The thought of sharing a room with strangers can be a daunting prospect. The language barriers, the clash of cultures, the lack of privacy, the “are they going to murder me in my sleep” thoughts, we all have them. It’s natural. The funny thing is that 90% of the people that you’ll share a room with will be in the same position as you and more than likely share the same thoughts. I can honestly say that in all the times I’ve shared a room in a hostel I’ve only ever had one bad experience, and that was one person who was really noisy when I was trying to sleep. That’s my only negative experience, and it isn’t really that bad if when you think of it. You don’t always need to share with someone though, like I mentioned above I’m currently staying in a room by myself at a much lower price than a hotel. So if staying yourself is your preferred option or if you’re not quite ready to take the leap to staying with strangers then it’s always worth a wee look to see if you can get a deal on a room in hostel. If you’re looking to meet people on your travels, hostels are a great place to start. The beauty of hostels is that you never know who you’re going to meet, that’s one of the things I love most about them. When I was in Berlin I went out on a pub crawl with others who were staying at the hostel, and for two nights I never got back to my room until 4 & 6 am. I ended up becoming good friends with a group of English guys and a group of Irish girls, some of who I still keep in contact with more than a year later. The people I met in Berlin made it the best holiday I ever I’ve ever went on, that’s when I truly fell in love with hostels. In my experience I’ve found that the people who I’ve shared a room with have usually been sound. They’ll engage in conversation with you whether it be small talk, in depth conversations or even a simple hi. Everyone is different. As I said earlier though, the majority of people are in the same boat as you so it makes talking to them a little bit easier. Probably the greatest thing that can come out of staying in a hostel is the confidence you get from it. Once you prove to yourself that you can do it, it opens up so many different windows for you for your future. After that dreaded first night is out the way, you’ll feel amazing. You’ll feel like a new person and begin to discover so much more about yourself and your limits than you previously knew, it’s honestly a life changing experience. And once that fear you once had about sharing a room with strangers disappears, it will put you in a better position than ever for any future travels you may have or aspire to go on.